ITV has commissioned a fourth series of popular detective drama, Endeavour starring Shaun Evans (War Book, The Scandalous Lady W). A prequel to the long-running Inspector Morse series, Endeavour series four will continue to be set in 1967, with Evans one again reprising his role as the young Morse. Acclaimed stage and screen actor Roger Allam (The Lady in the Van, Parade’s End) will also return as Endeavour‘s senior officer, Detective Inspector Fred Thursday. Endeavour is produced by Mammoth Screen (Poldark, And Then There Were None), with scripts once again written by Russell Lewis (Inspector Morse and created of Endeavour) who will executive produce the drama alongside MD of Mammoth Screen, Damien Timmer. Morse creator Colin Dexter, will continue to act as a consultant. Series 3, which began airing on ITV this January, delivered a consolidated average rating of 6.3 million viewers, with the episode ‘Arcadia’ – which featured the debut of new recruit WPC Shirley Trewlove (Dakota Blue Richards) – had a consolidated rating of 6.7m. 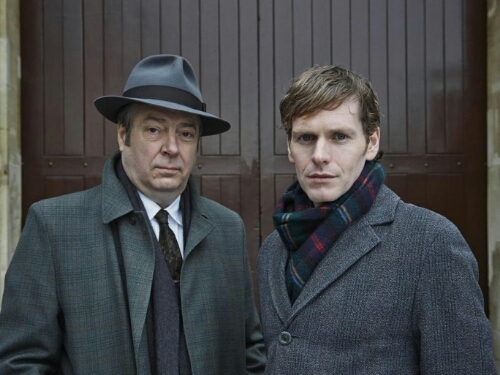 Endeavour series 4 will go into production on location in Oxford in late Spring 2016. Excellent news, delighted! Last series was top quality drama in every way. Well done ITV.